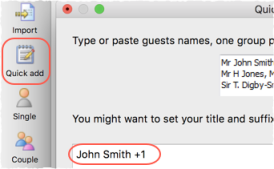 If you don't know the name of a guest you can just check the Anon check box. A name will then be created for them automatically, based on their group name. You can uncheck the Anon box and add their name if you find it out later.